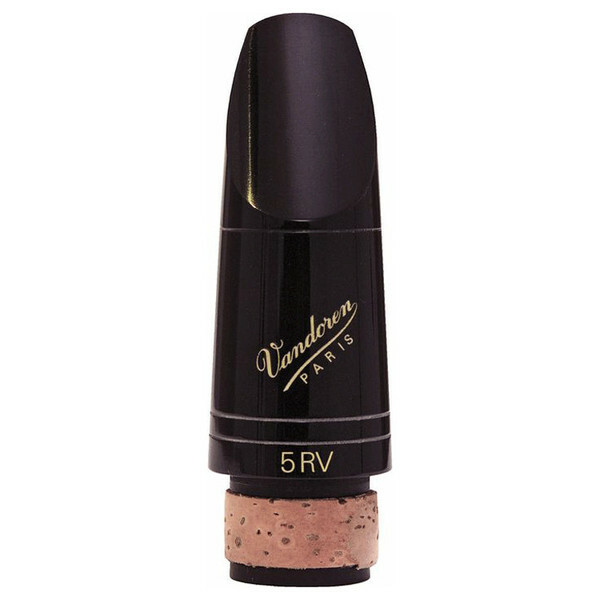 The 5RV is an music industry standard mouthpiece for the discerning clarinetist. With a wonderful tone and traditional qualities, this mouthpiece is the top choice by many top clarinet artists. The beak on the CM301 Mouthpiece is of a traditional design, meaning that the taper of the mouthpiece happens closer to the edge of the mouthpiece and at a greater angle. This has been a tried and tested method of mouthpiece design for many years and is a popular style chosen by many of the great artists. the 5RV Mouthpiece has been an industry standard mouthpiece for the professional performer. It's unique qualities make it a favoured mouthpiece with many top clarinetists. The traditional tone lends itself to a more authentic clarinet sound and one that is often preferred in orchestral playing. Along with a strong reed, the mouthpiece's tone is completely uncompromised. For more information on Vandoren Clarinet Mouthpieces, please find the PDF below. Can't find that specific mouthpiece online? Please contact us for more information.